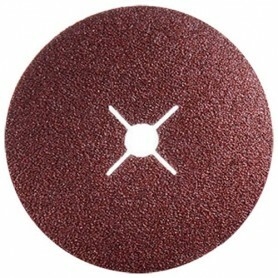 Fiber discs are widely used for rough and fine sanding on handheld angle grinders. Excellent performance of fiber discs for rough grinding of welds and cleaning and removing rust on metal parts. Fiber discs are used for metal and wood. Manufactured in the EU with the best ratio of quality and price.